I read an interesting article this morning. According to research by DashTwo, 75% of music fans using ticket agents which included Live Nation and Ticketmaster to buy their tickets, start their transaction on their phone. As expected, this number has been steadily rising over the last few years, and 60-80% is around the norm now. But that’s where things go awry. The research shows that only 36% of transactions are completed on mobile, showing that nearly 40% abandon their mobile in favour of buying on their laptop or desktop. So lets think about this for a second. Does that mean that music fans have a preference for consuming information on their mobile, but transacting on desktop? Maybe. That could account for a small percentage of users perhaps, certainly when phones had smaller screens and were awkward to use. But in 2016, if a consumer is checking out information about a gig on their phone, they want to complete the purchase on their phone. In our current environment, people are often time-short and juggling several tasks at once. If you get an alert about an event whilst you’re watching TV, would you really want to jump on your desktop to buy the tickets you’d found? The stats above point strongly to one thing – A broken mobile experience on those websites. Users start to transact, get frustrated with the experience, then jump ship – hopefully to desktop, but often they will abandon the process completely. So what causes this broken mobile experience? Step 10: Card details, no problem. What if I don’t want to store my card details? And wait, I’ve already entered my name? Step 11: Oh wow. More fields to fill in…. I’ll come back later. As you can see, 11 screens in, lots and lots of forms to fill in, and we’ve still not finished. The mobile user experience is poor. You can now see why at least 40% of customers are abandoning the process. Remember – these are customers who are willing and ready to buy tickets. Your tickets? The process has just been made so difficult, they would probably prefer to stand in a long queue at the box office, or maybe buy tickets for a different event from a mobile friendly retailer. At Skiddle, it’s 1 click to the checkout. If you’re a guest, you can continue without registering. That’s 2 screens to buy your tickets (plus an optional 3rd if your bank asks for 3D Secure). Even if you have an account, but can’t remember the details, you can still use our 1-page checkout. Because the most important thing, is to help the customer buy their tickets. We think the customer experience is so important, we don’t stop testing and observing. Nothing will ever be perfect, but we release 100s of updates every week to inch closer every time. Our stats from August, show 71% of visitors are using mobile, with 69.3% of transactions completed on mobile. That’s just a 1.7% drop off, compared to the 40% mentioned above. We’re also working on implementing Apple and Android Pay, so customers don’t need to enter their card details, just a thumbprint scan and you’re away. We’ve used Ticketmaster as a high profile example here, but ticketing is broken in many places. Econsultancy ran an article about the Olympic Ticketing website a few years back. Ask yourself this next time you put tickets on sale, “Does this service make it easier or more difficult to buy tickets?“. Try the checkout process yourself, if you struggle, your customers no doubt will. 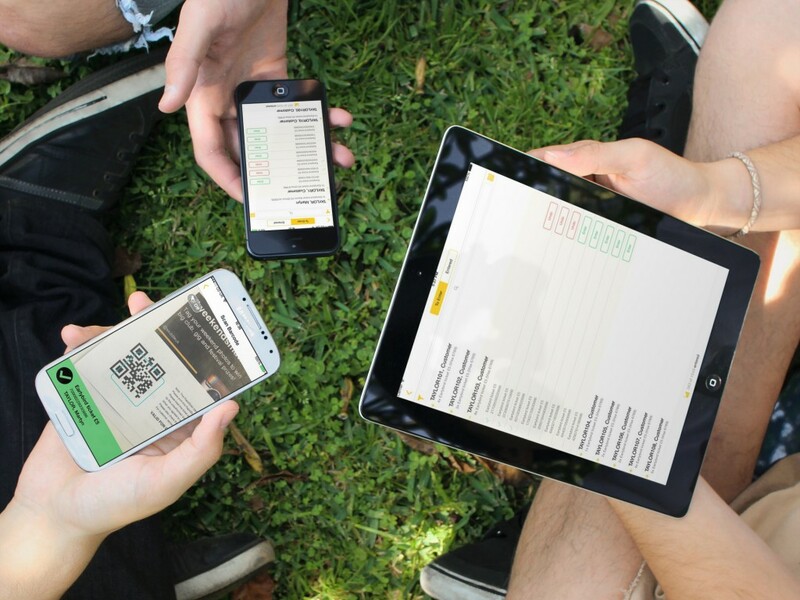 Give us a call at Skiddle if you want to experience ticketing done differently.